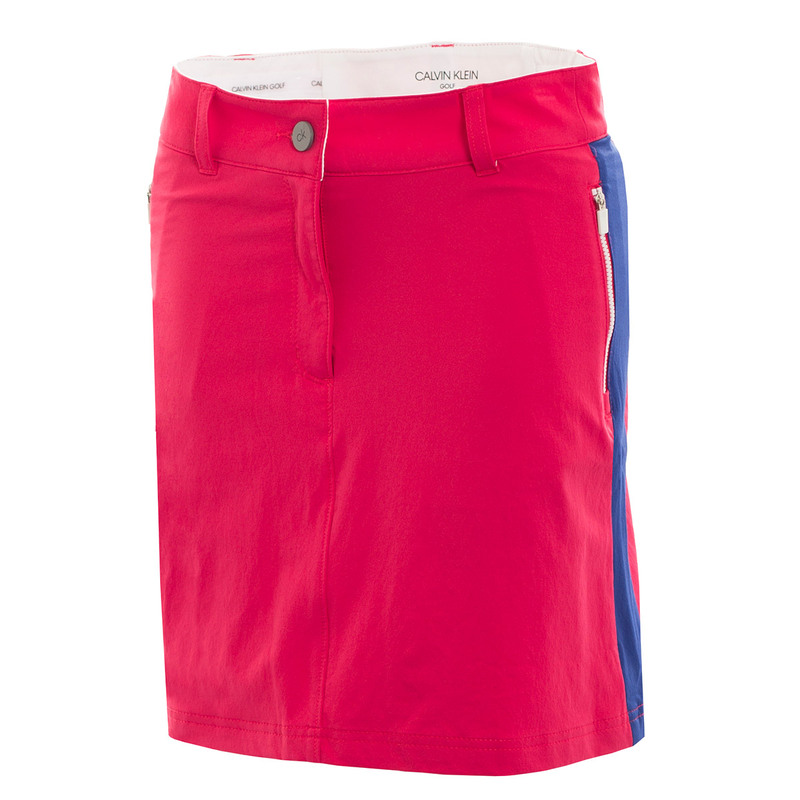 This straight fit golf skort offers a smart and flattering fit, with fully stretch waistband to keep you performance in shape as you play golf. The fabric feels light and breathable, and is moisture wicking to keep you dry and less distracted, as you play the beautiful sport of golf. 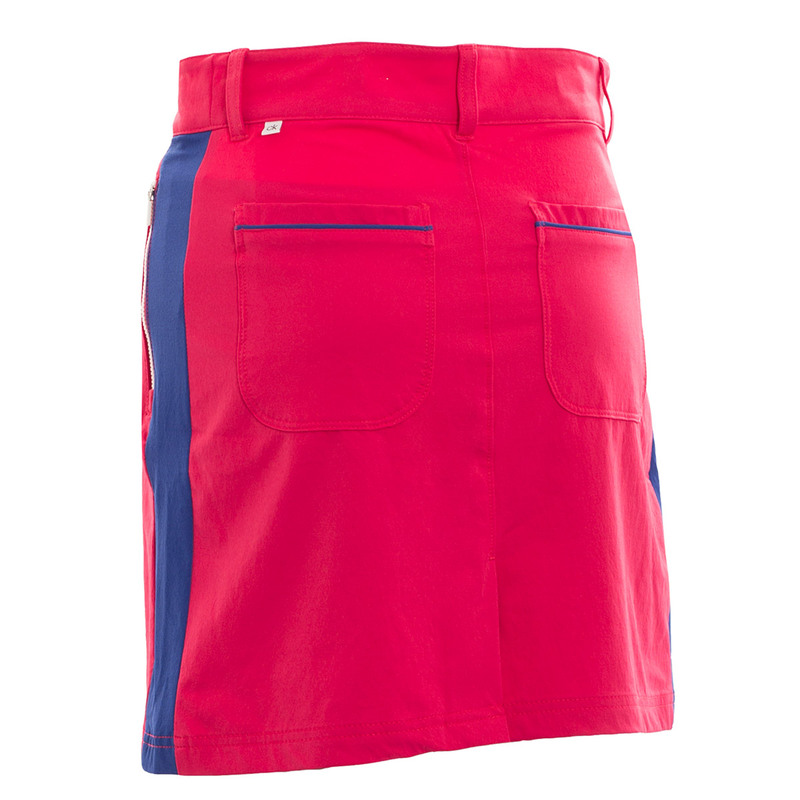 The garment features a mesh polyester blend inner short for extra breathability and comfort, and has a traditional button and zip front closure ensuring you have full confidence to perform. 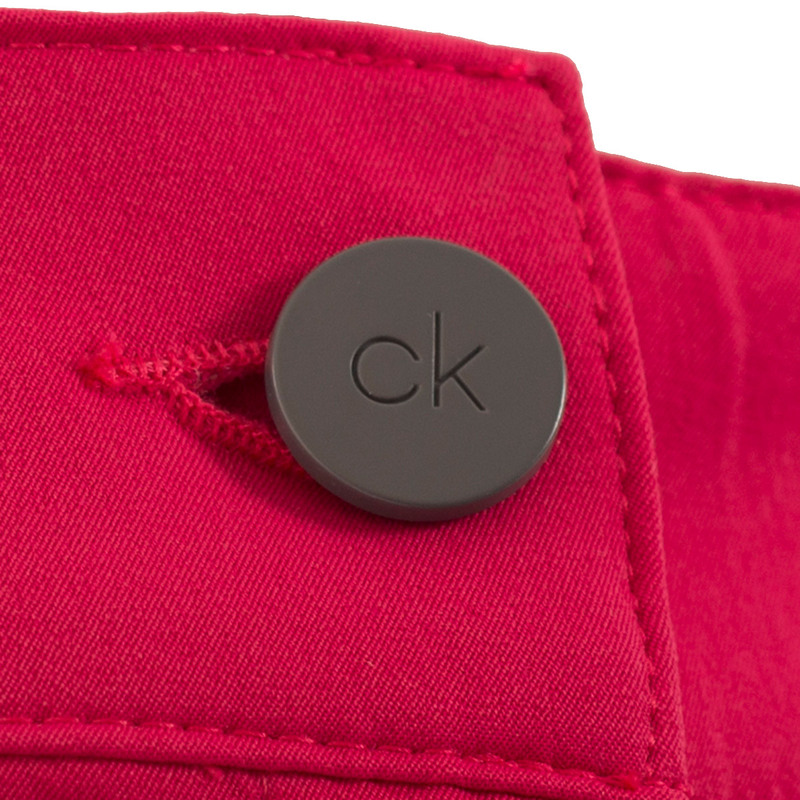 Other benefits include zip side pockets, and rear patch pockets with contrast colour detailing.